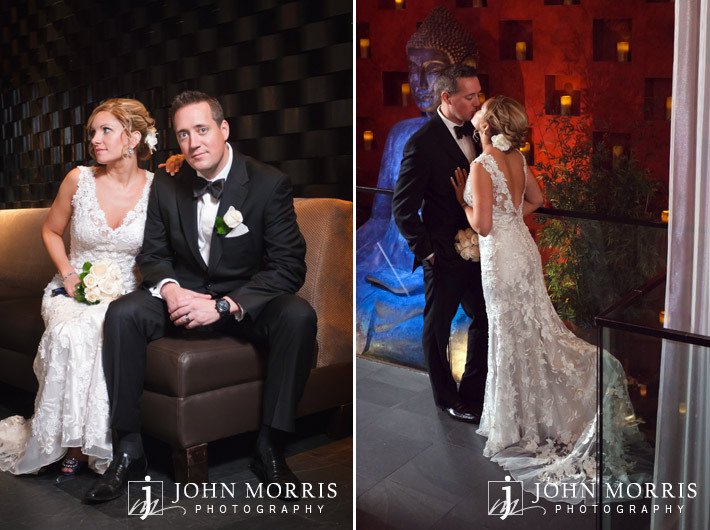 Nicole and Evan had an amazingly fun destination wedding in Las Vegas and we were lucky enough to be their photographer. They flew in from Philadelphia, along with 100 of their favorite people, for an unforgettable wedding weekend. 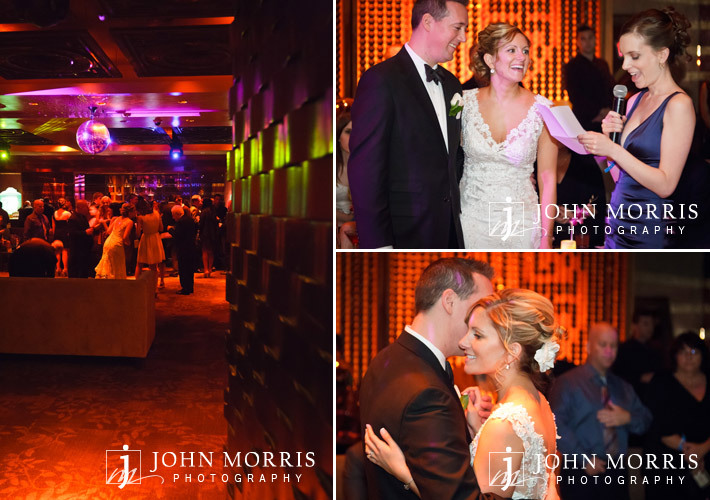 The weekend started with a rehearsal dinner at the Mandalay Bay followed by a welcome reception for all of their guests at the Luxor for. Afterwards they hosted a late night rendezvous at the Mix Lounge. The following day their beautiful ceremony took place at THE Wedding Chapel at Mandalay Bay. The reception was held at Tao Bistro at Venetian, and of course the afterparty continued at Tao Nightclub. Tao is a gorgeous venue, but it was a bit tricky to photograph because it is so dark inside. The dark atmosphere suits the nightclub perfectly, but in order to create these rich, sharp images we had to strategically set up several professional lights in a way that would maintain the ambiance of the club. In doing so we were able to balance out the light and dark in the room, capturing the vibrant colors that decorated the reception. The moody atmosphere did present a perfect opportunity to create some elegant, dramatic bridal portraits. A few of our favorites are posted above. Aren’t they a stunning couple? I was flattered to receive a message from Nicole saying how much she and Evan loved their photos. They felt that the images truly captured the spirit of their wedding day and were having trouble narrowing down favorites for their wedding album. Now there is a problem to have! 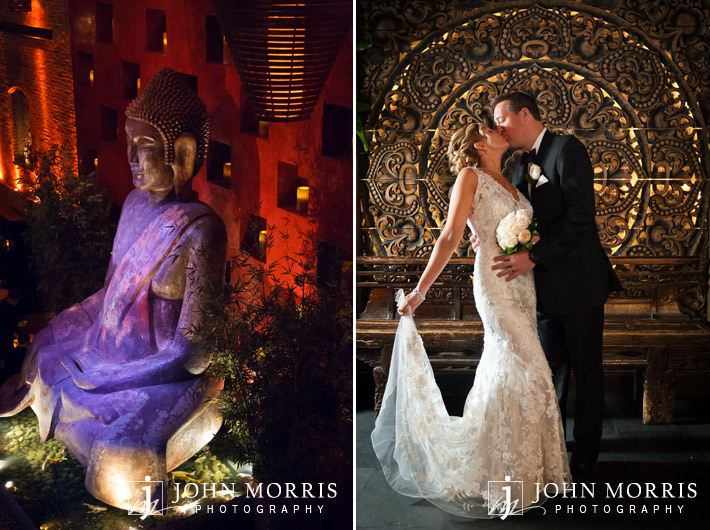 Nicole and Evan, thank you for the wonderful opportunity to be your Las Vegas wedding photographer and to create these amazing images. It was an honor to be part of your big day.